SOCHI, Russia (AP) Tim Cahill finally got onto the field in his fourth World Cup for Australia, asked to provide a spark with the Socceroos in desperate need of goals. ”That was the main reason that we could control the game for big parts, and if you play like that and you have chances, you create chances, then you have to score. 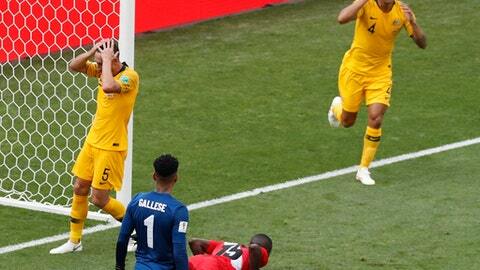 That was our problem,” outgoing Australia coach Bert van Marwijk said.